Fall for the Book – a DC-area literary festival – began Sunday and will run through Friday night. On Tuesday night, poet Robyn Schiff will be reading at George Mason University from 6:00 – 7:30 p.m. (Grand Tier III, Center for the Arts). I have been reading Schiff’s second book, Revolver, in which she examines the inventions originally displayed at the Great Exhibition of 1851 through a contemporary lens. 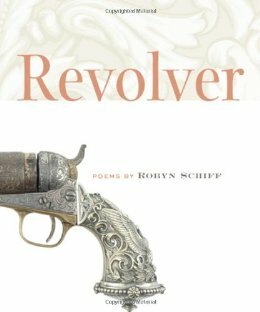 Using objects as diverse as a sewing machine, revolver, envelope machine, prefabricated home and eighty-blade knife, Schiff reminds us how the machinery in our lives defines, separates, and coaxes us to evolve in different ways. talking to them through the wind. the chain mail at the end of the mind. in a game of marbles.